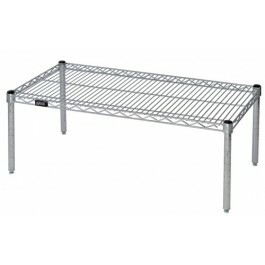 24" x 48" x 14" Wire Shelves Chrome Shelving Shelf Platform Rack represents an ergonomic solution for keeping case goods off the floor. Platforms are often used at workstations and prep storage areas. Available in Chrome. 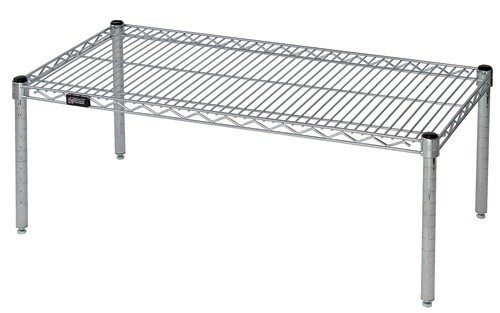 Each unit consists of: 4- 14" Post and 1- Wire Shelf.